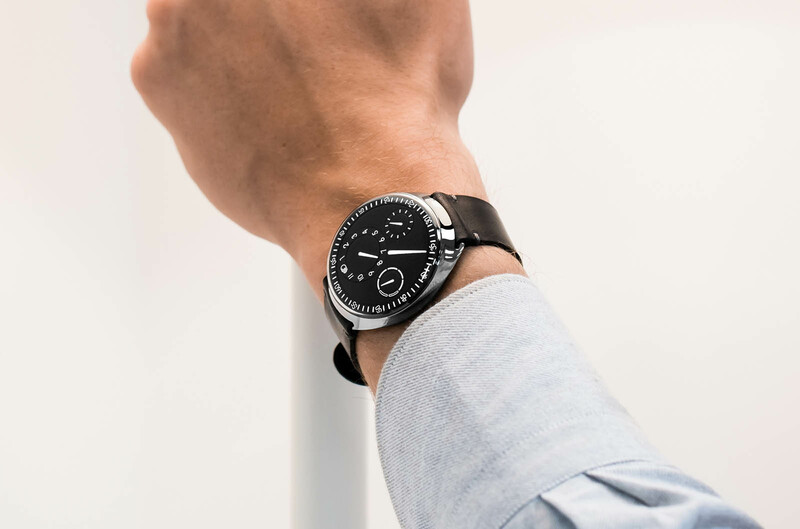 The Type 1 Slim features a monobloc titanium case that measures 42mm in diameter and 11mm in height. Its tonneau shape and lug-less design makes for an eminently sleeker case. 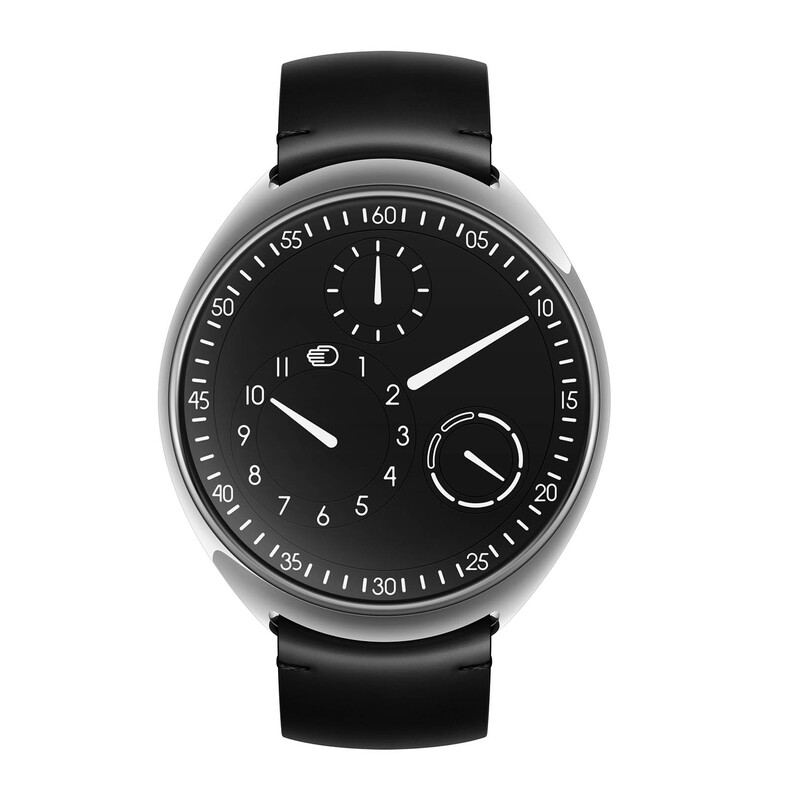 As with all other Ressence watches, the Type 1 Slim has no crown, the winding and setting mechanism being the case back itself. 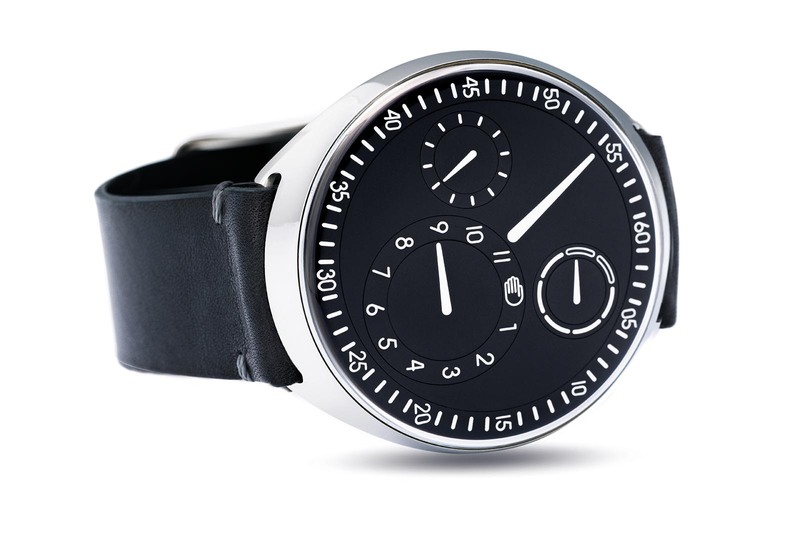 Available in black, blue, white and grey, the dial is slightly convex, echoing the curve of the domed sapphire crystal. It is made of German silver and features engraved indications filled with Super-Luminova. Time is indicated with the signature Ressence Orbital Convex System (ROCS), wherein traditional watch hands are replaced by planetary discs. The ROCS is made up of 107 components, with the entire dial rotating on itself, and each sub-dial making smaller revolutions to display the hours, minutes, seconds and day of the week. 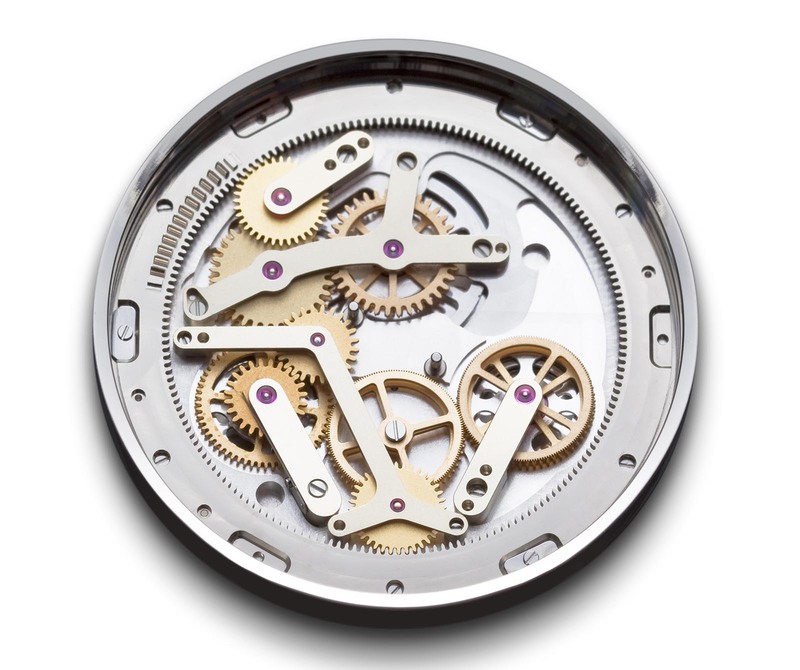 The base movement is a modified ETA 2892 calibre, which is slightly thinner than the ETA 2824 used in the preceding generation. The Type 1 Slim is available with the dial in black (Type 1B), white (Type 1W), blue (Type 1N) or grey (Type 1RS), and is priced at SFr16,800.